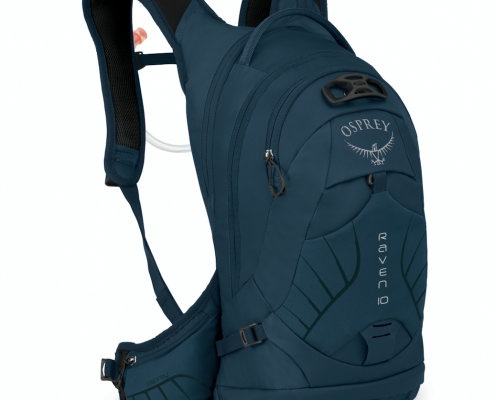 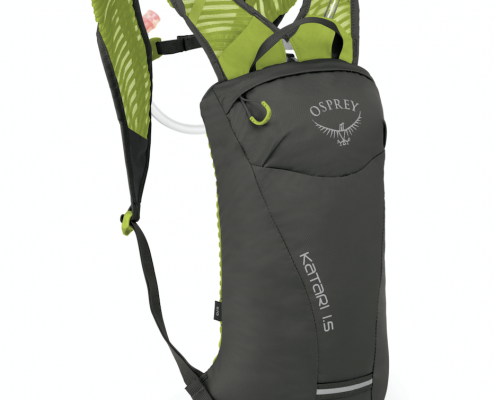 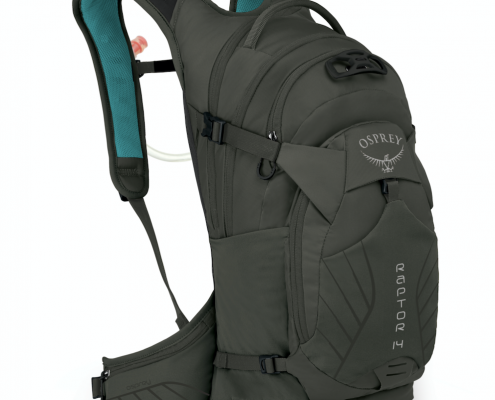 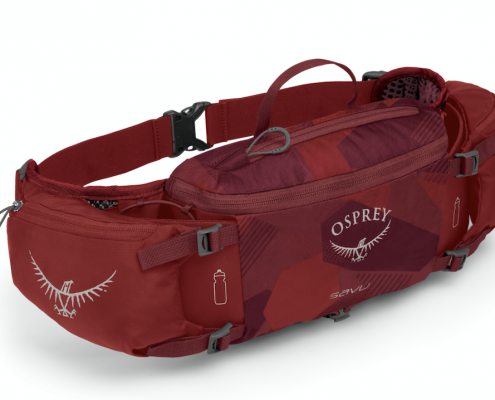 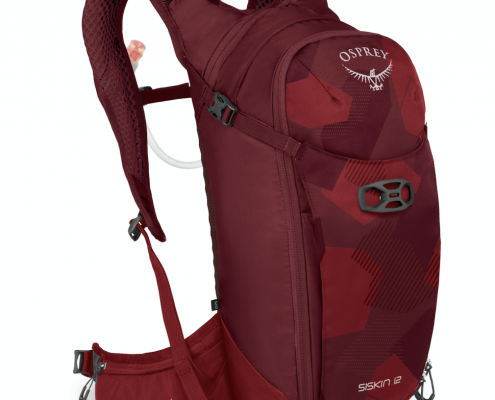 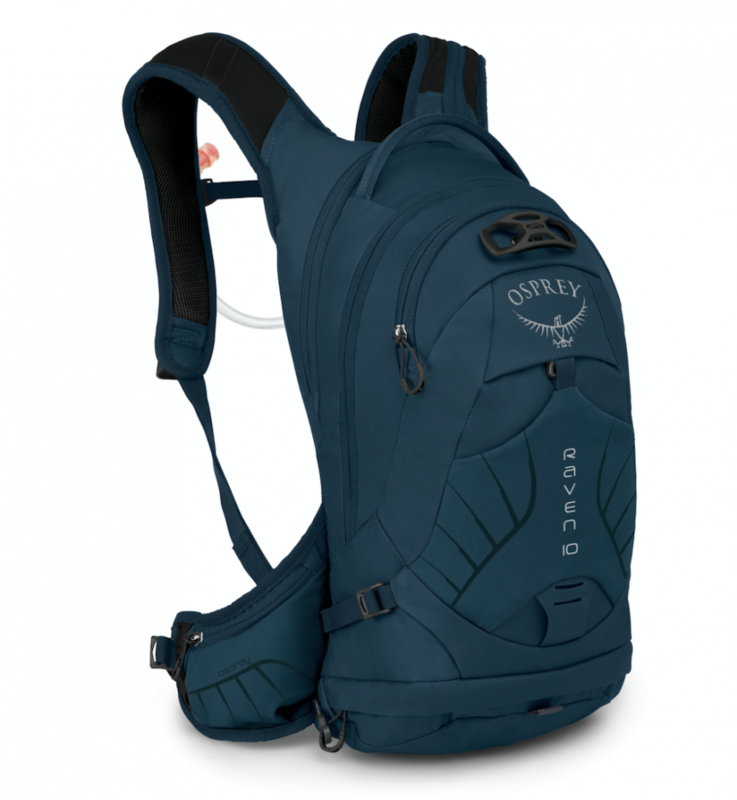 Outdoor and adventure gurus, Osprey, have expanded their biking hydration pack range to cater to all levels. 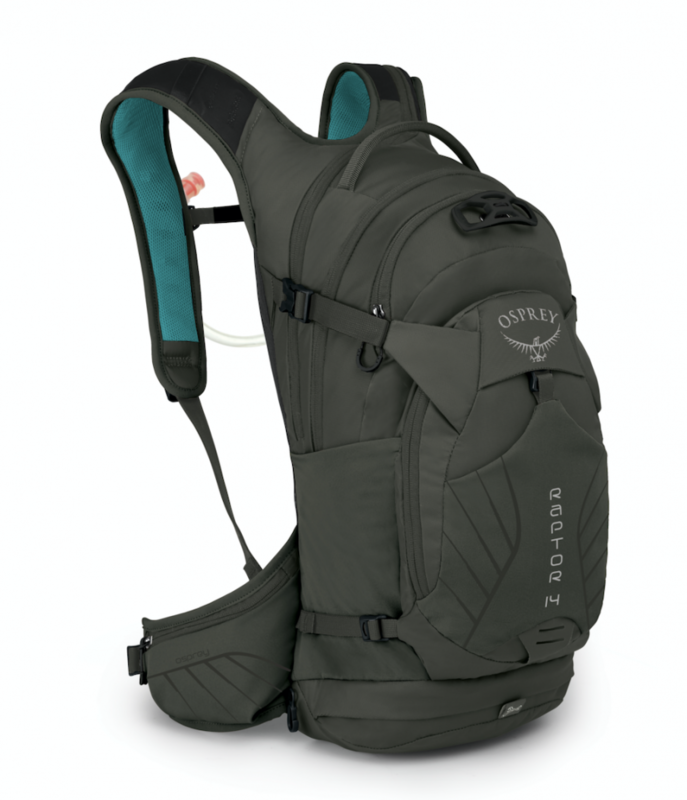 Whether it’s a quick pedal to-and-from your local track, or an epic weekend of bombing far-away mountain trails, Osprey’s new biking backpacks & lumbar packs will keep you hydrated, fed, protected, and ready for any situation you can find on two-wheels. 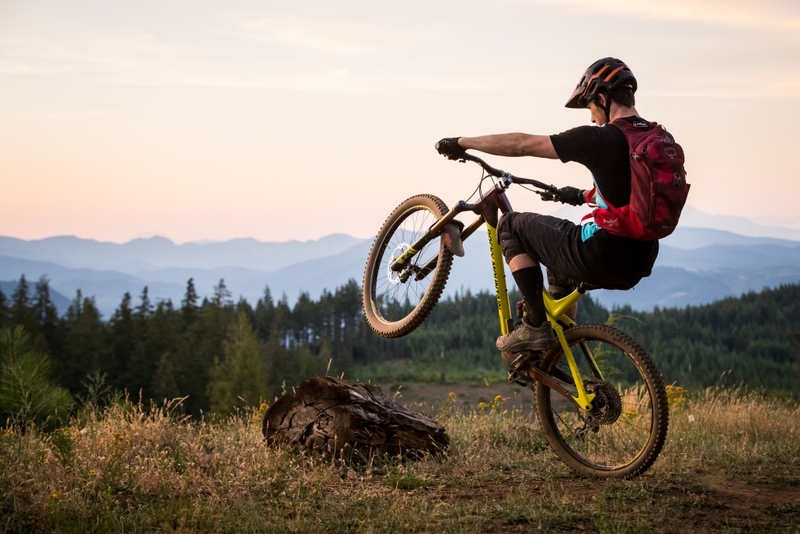 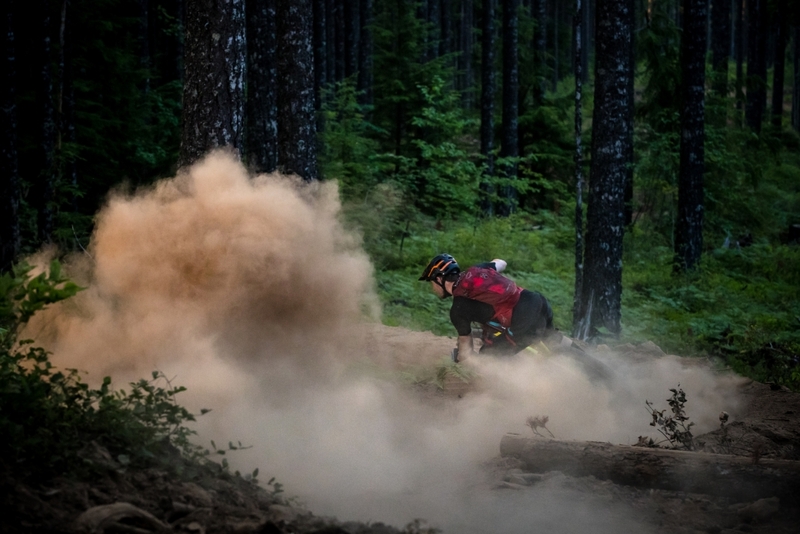 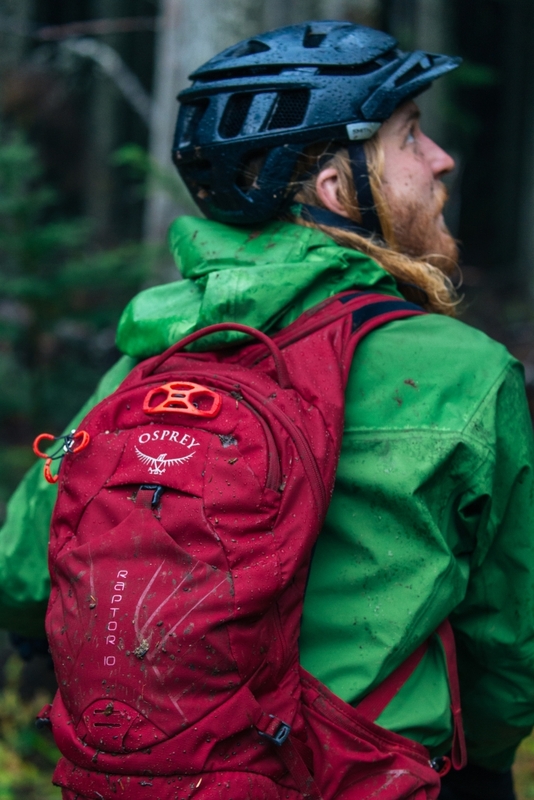 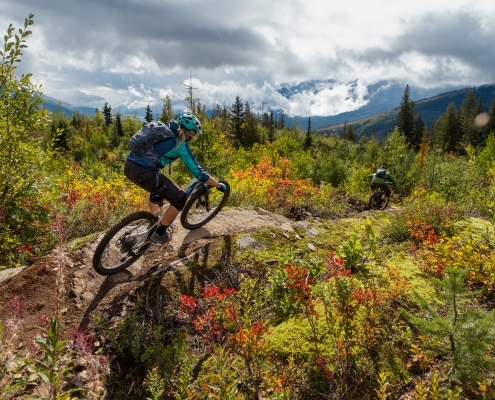 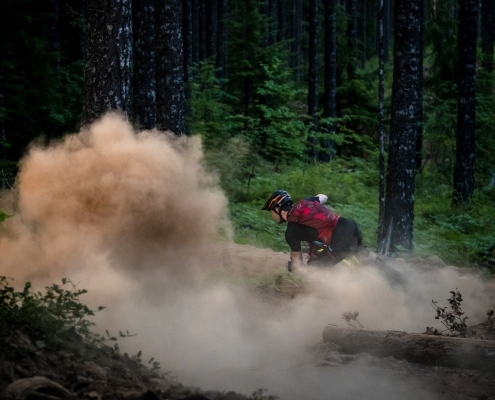 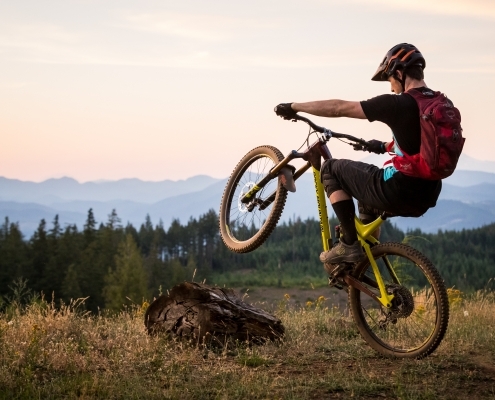 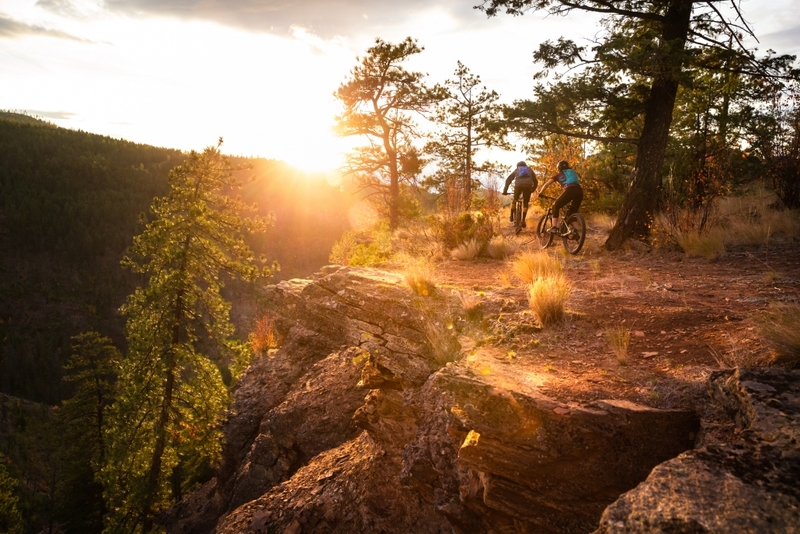 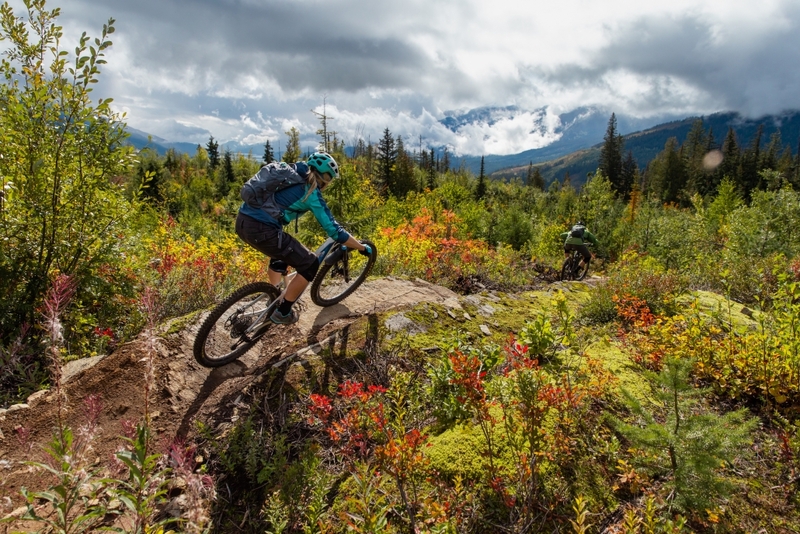 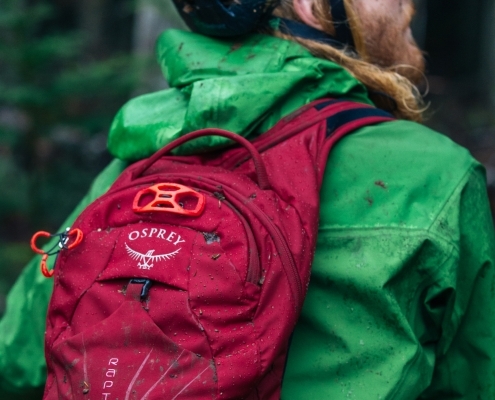 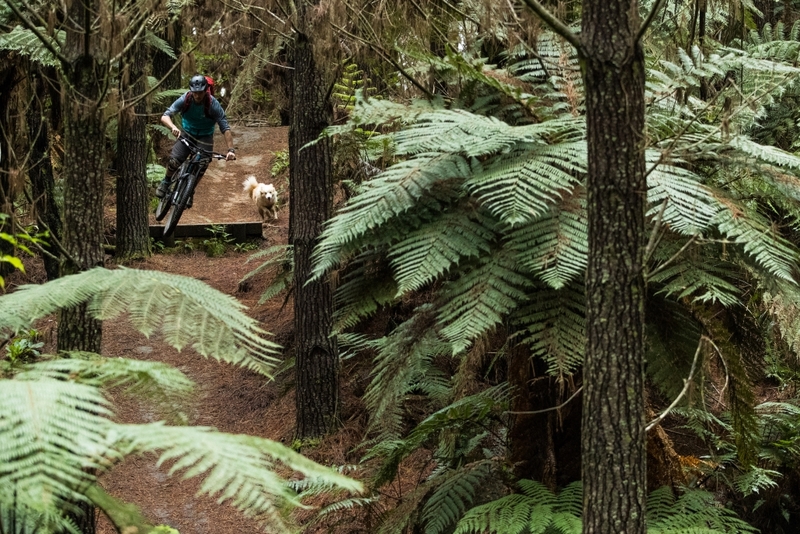 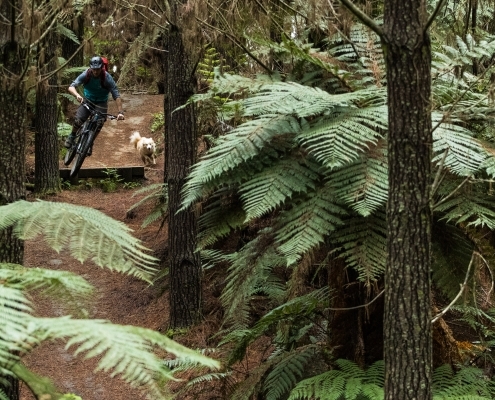 Raptor (Men’s) & Raven (Women’s) series is Osprey’s best fitting and fully featured mountain biking pack designed for the serious rider that demands the highest quality and performance from all their gear. 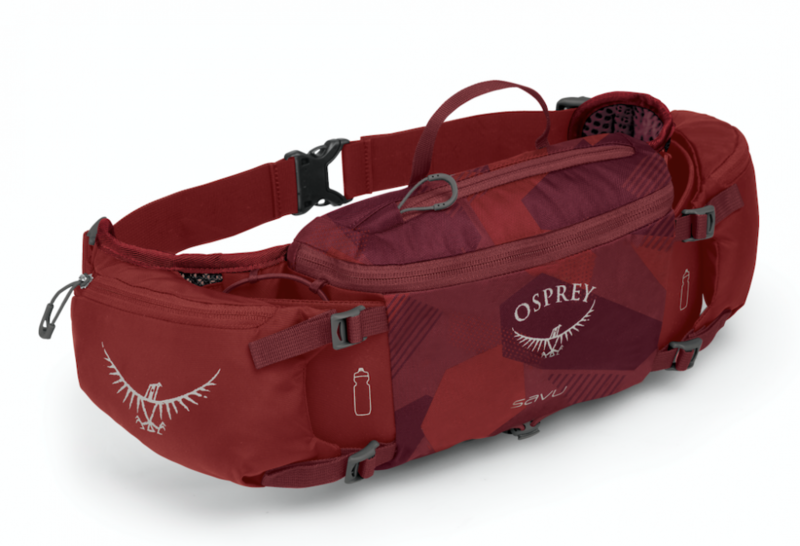 Unique to the Raptor/Raven 14 & 10 litre packs, are the newly designed bike-specific, wing-shaped contouring harnesses that give maximum stability, distributes the load evenly and prevents pinching. 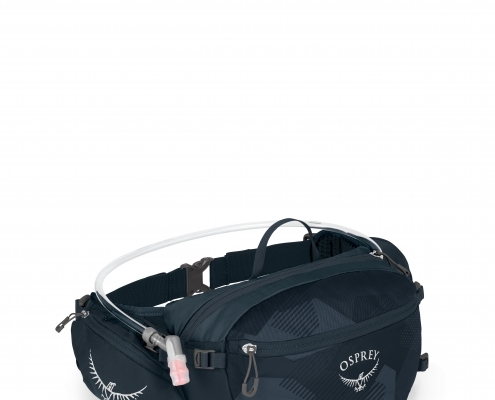 Improving the overall riding experience, the flexible Hydraulics 2.5 litre reservoir accommodates natural riding positions, with the new lightweight sternum strap magnet attachment giving you easy access to mouthpiece every time you need to hydrate. 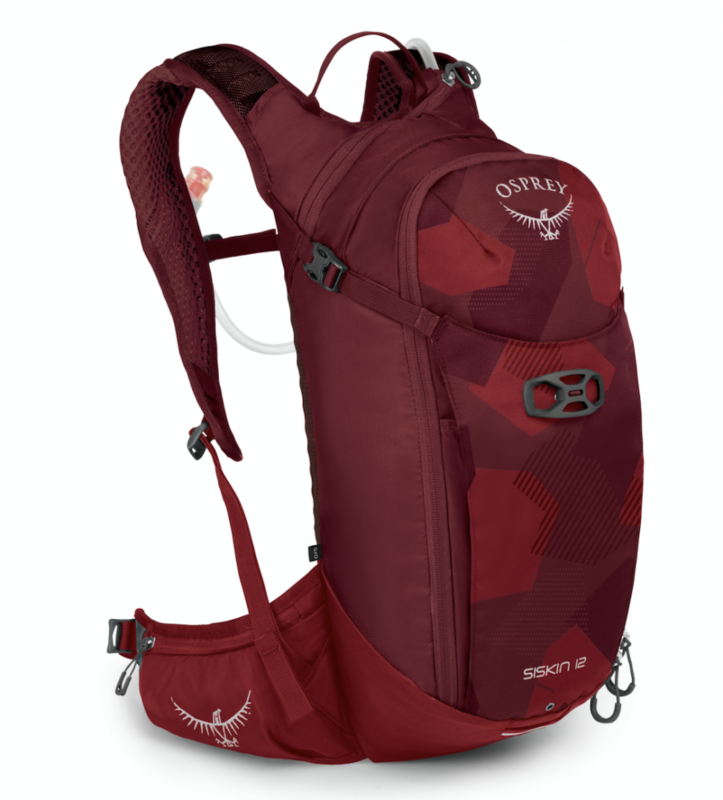 The Siskin (Men’s) & Salida (Women’s) series offer many of the high-performance features of the Raptor/Raven, but are designed to suit any outdoor activity from biking to hiking– where hydration is a must. 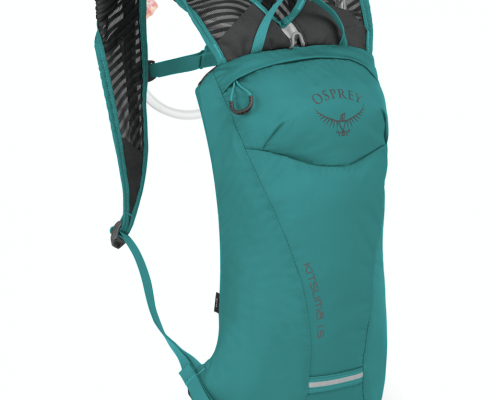 What sets Siskin/Salida 12 & 8 litre packs apart is the new Biostretch shoulder harness, it keeps the pack stable over technical terrain and won’t pinch when your pack is fully loaded. 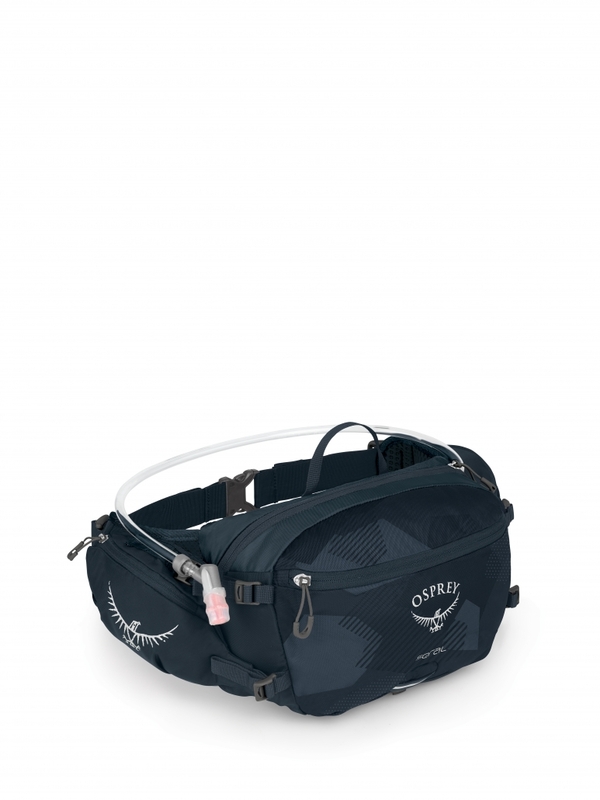 The U-zip main compartment opens wide for easy packing while a separate compartment holds an included 2.5 litre reservoir with direct-zip access. 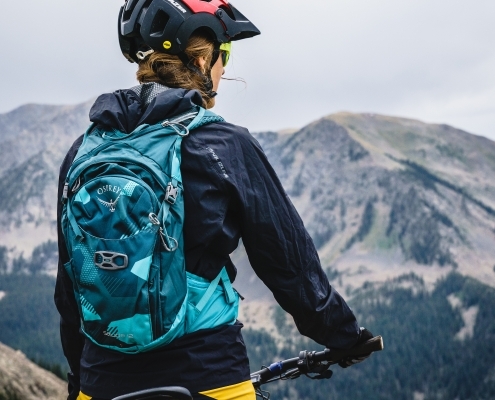 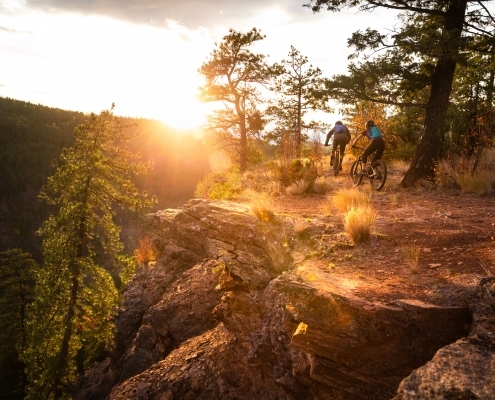 Want to hit the trail for a quick ride and only need the utmost essentials? 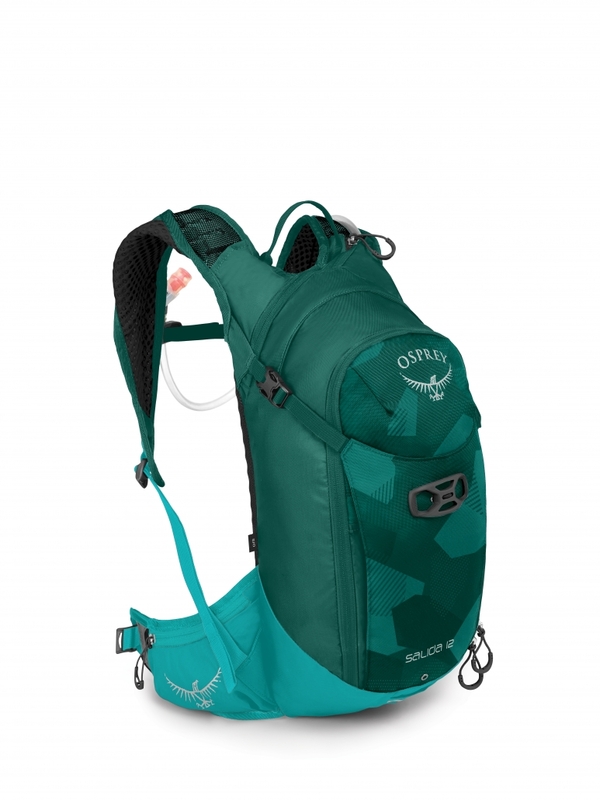 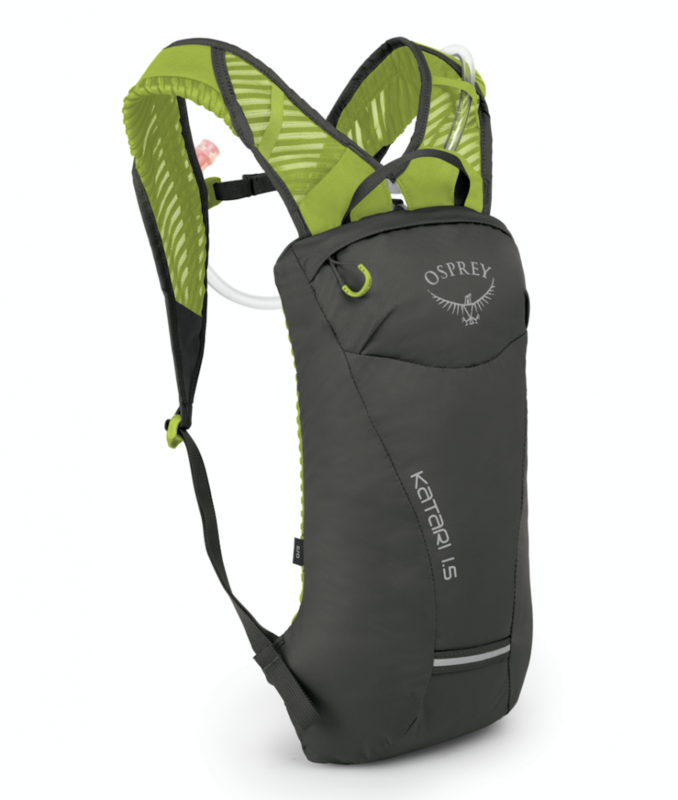 Osprey’s Katari (Men’s) and Kitsuma (Women’s) series are light, low-profile, and close-to-the-body hydration packs designed for a quick session on the trail. 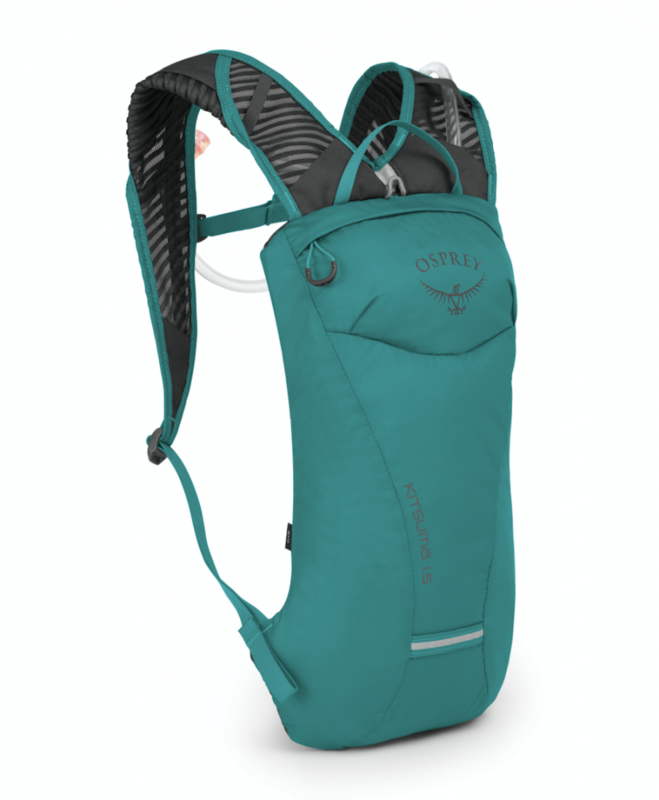 Offering many of the high-end features of their larger siblings, the Katari/Kitsuma 7, 3 and 1.5 litre packs are stable, well-ventilated and make you feel like you’re wearing nothing at all. 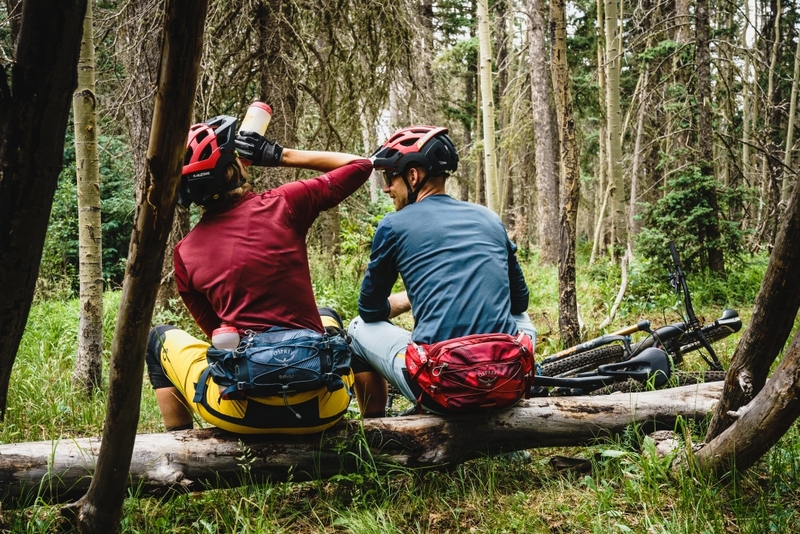 For the mountain-bike minimalist looking for an off-the-back hydration solution, the Seral and Savu unisex lumbar packs are for you. 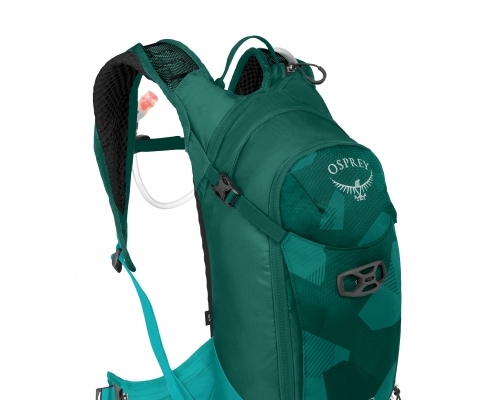 Compression straps hold the pack securely on your lower back and wrap around your hips for supreme stability, even over technical terrain. 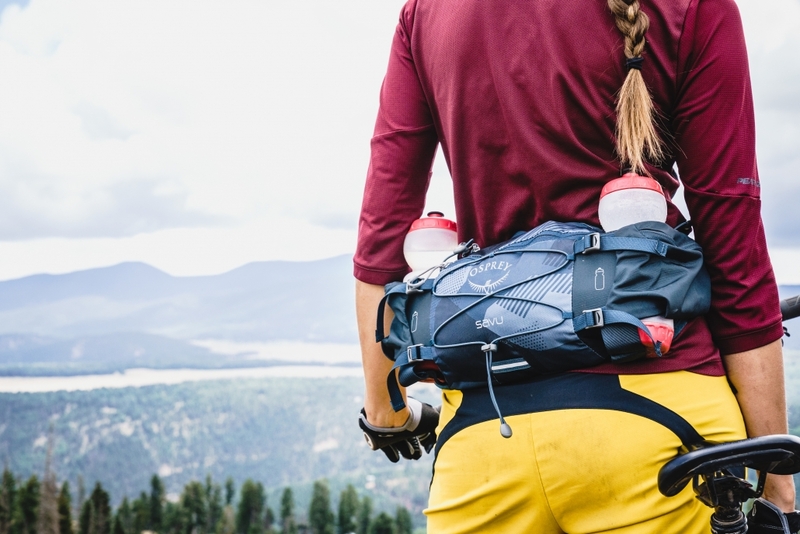 The Seral comes with an integrated 1.5 litre reservoir for hydration, whereas the Savu has two rigid pockets that make it easy to pull and replace water bottles as you pedal, so you can stay hydrated without stopping. 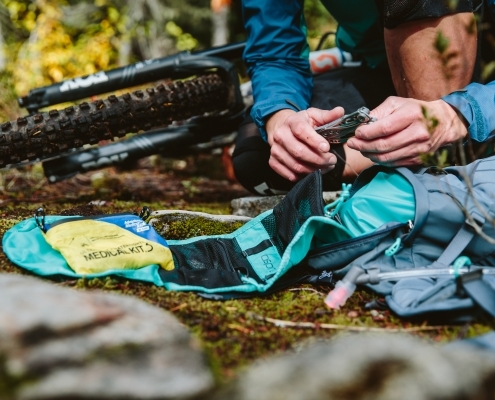 To complete the family, the incredibly popular Bike Tool Roll is now available as an accessory. 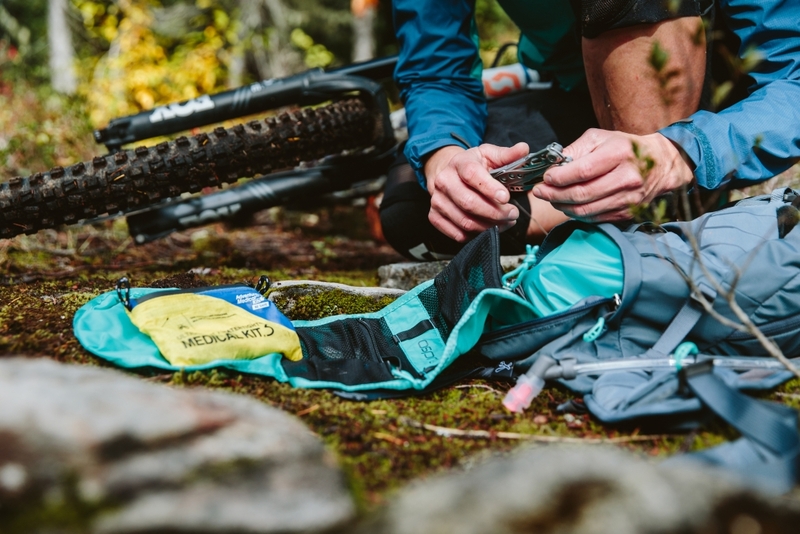 This handy roll-up pouch provides a secure place for every tool with zippered pockets for small and large items and is the perfect biking companion for the next time you hit the trails. 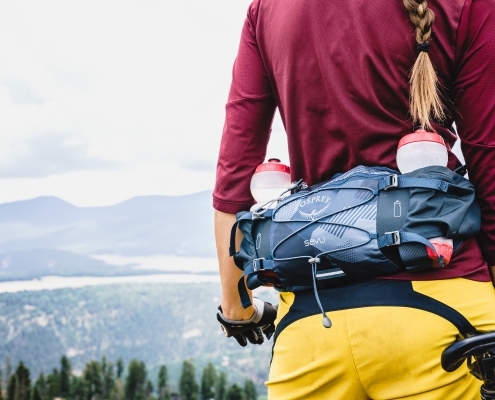 The Tool Roll is also a great way to organise your gadgets while hiking or travelling. 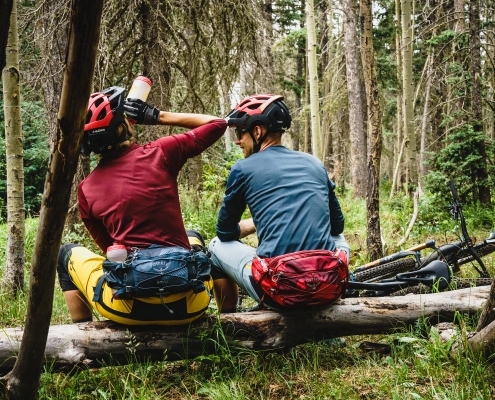 There are a lot of luxuries we can go without on a mountain bike ride, but water isn’t one of them. 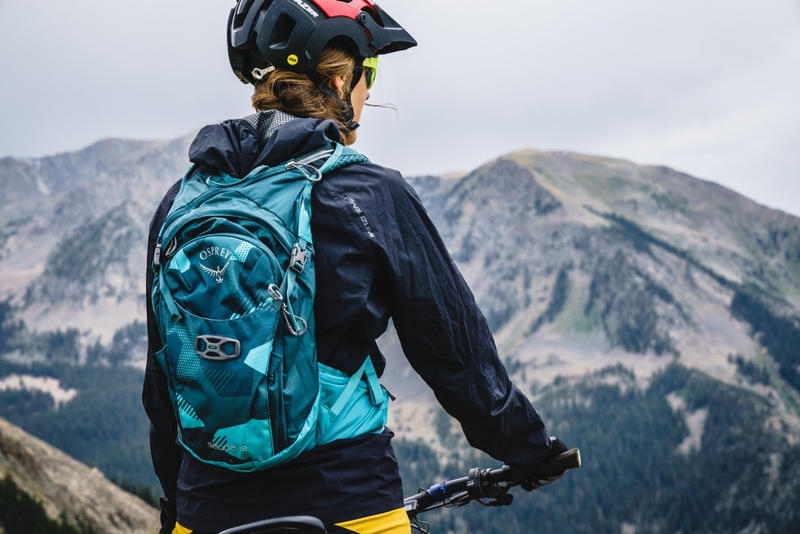 Whether you’re seeking mountain bike mayhem, or prefer to take the steadier scenic route, Osprey’s new Mountain Biking Hydration packs range has a pack designed just for you.